I wondered when I was going to do a series of related mosaics. Well, here it is. 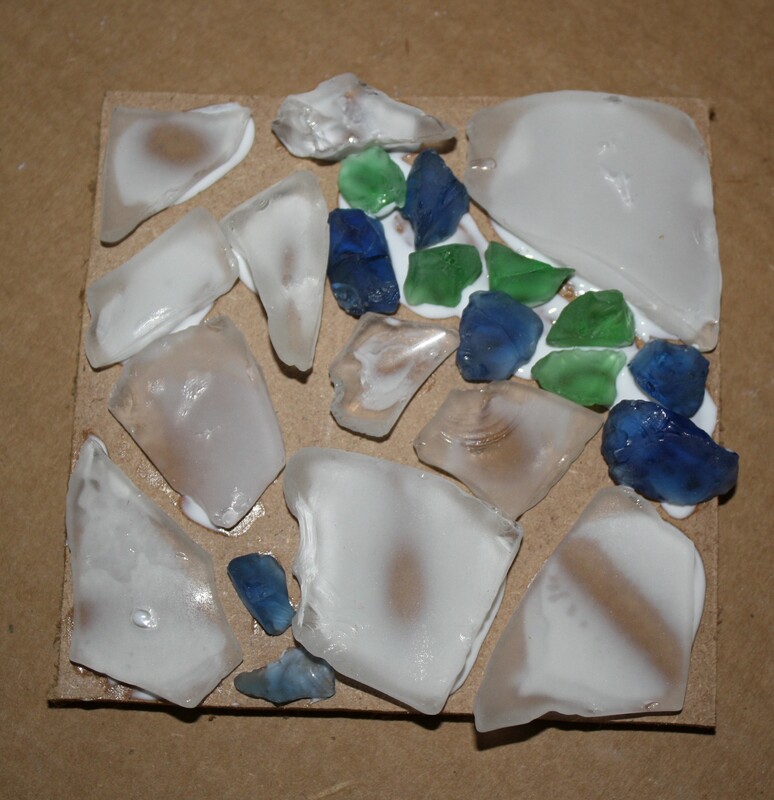 My intention is to use beach glass the rest of this week so I’ll have 4 mosaics that will work together. We’ll see if it happens. I could be onto something entirely different by tomorrow. I’ve learned not to plan in advance with mosaics because when I actually start working spirit often shows me a different way to go. I follow the guidance I receive and things always work out. I know the mosaic looks pretty random but remember, there will probably be three more squares that will complete the design. The beach glass is so pretty. I love the chunkiness and the colors and that it doesn’t have sharp edges. By the way, the white clobs are glue. They will dry clear. Previous Day 23 – Wanna see the tiles I made?